Every Christmas we do the “Holiday Hustle and Bustle Two-Step” and may experience the “Christmas Blues” along with a good mix of some “Christmas Family Conflict.” But there is one more feature to the “most wonderful time of the year”, the war on Jesus. Some may say the war on Christmas, but if we are honest, it is really about Jesus. "It’s Beginning to Look a lot Like Christmas . . Mythicism’s in the Air” was the title of a column that caught my attention, written by Dr. John Dixon. He is a professor at the University of Sydney teaching a class on the Historical Jesus. Mythicism or the Jesus Myth is a teaching that advocates Jesus never existed. The majority of religious scholars reject the legitimacy of their arguments since there is such wide spread consensus for His existence. However, this arena of thought is growing in influence and fighting for an academic spot at the table. During Christmas and Easter we often see these mythicist-driven attacks on Jesus. When looking for evidence for the historical Jesus, eye witness accounts are the most valuable. They are prized above second-hand testimonies, of which there are several in and outside of the Biblical record. However, the only place that contains first-hand accounts of Jesus is the Bible itself. Matthew wrote of meeting Jesus in third person saying, “As Jesus passed on from there, he saw a man called Matthew sitting at the tax booth, and he said to him, ‘Follow me.’ And he rose and followed him” (Matt. 9:9). Paul records his statement writing, “[Jesus] appeared to me also” (1 Cor. 15:8). And Peter recounts his experience saying he was “a witness of the sufferings of Christ” (1 Pet. 5:1). For centuries skeptics have put these eye witness accounts on the anvil of doubt. Yet examination after examination has proven their testimonies were reliable. There is another kind of testimony that also proves the existence of Jesus. How do you explain the millions of people over the last 2,000 years who have given testimony of being transformed by Jesus? Most have never met each other, lived in different centuries and on different continents and spoken different languages. How could they have conspired together? 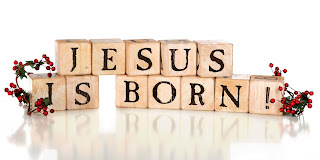 I argue that every soul who has been born again by the living Christ is a legitimate and definitive source of evidence that proves Jesus is real and alive! Come on, all doubters and skeptics! Come to the empty manger, cross and tomb. You will not find Him there but you can find Him on your knees when you cry out from the depths of your soul to know Him. There you will see Him in all His glory and be able to give your own eye witness account.